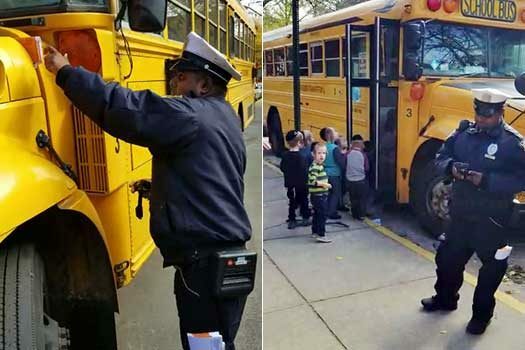 Video footage has gone ‘viral’ on social messaging apps showing a traffic agent issuing a $115 parking violation to a yellow school bus, that was actively loading children, at the conclusion of the school day today in front of the Skvere Talmud Torah on 45th Street in Boro Park. 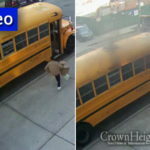 The person filming the incident can be heard asking the traffic agent “you see the buses loading,” with the traffic agent just shaking his head. should be an easy win in court but why should anyone have to go through that hassle? It’s not too much of a hassle. It can be done by mail and a well written letter with photos. That ticket was unfair. true a bus can load and unload but he states in ticket that reason is for no bus driver present. I think that can be a violation and possible hazard to the children too. hmm yeah that would be a problem. Everyone has to follow the rules and be there for the kids! At the end of the school day? Multiple buses are often staged waiting for the kids. 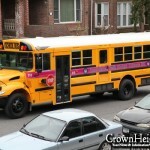 The teachers make sure kids get ok the correct bus. The drivers don’t have to be in their seats. The driver MUST be present while a bus is loading/unloading. That ticket may be appropriate. There is a word after no driver. It looks like permit. It does not say present anywhere on the citation. I do not see the words no driver present on the citation. none of the kids are wearing coats?! Sunday is NOT a school day and should be allowed to park then.. The traffic agent has no common sense. Is all about numbers for the city. That’s how the city makes money. Shame on them. its a wrong ticket. if the sign said no parking you MAY stop to expeditiously pickup passengers, so the bus was allowed. 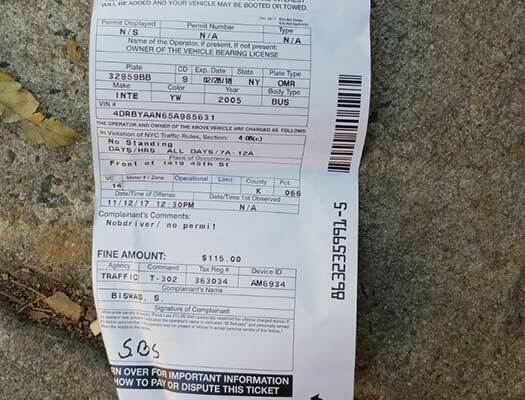 and on the ticket he wrote no standing which is also wrong cause the sign said no parking not no standing. No driver in bus. The bus was parked. 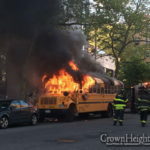 School buses are not above the rules even in special borough park! Expeditiously implies speedily like if a parent was picking up some children and stops in the no parking zone with the motor idling while the children open the car door and jump inside. It might not apply to a commercial vehicle/school bus. See all the ticketless cars in front of public schools blocking the street. I am sick of the quotas! You’re supposed to juice the guys you gotta juice. Anti-semitism is written all over his face! The ticket would easily get thrown out. Report the Brownshirt to Internal affairs. Not a real school. .no driver , motor off. Not a nyc city b.o.e. bus. No common sense…That’s the problem with this new generation.. If the driver was not in his seat, the bus was parked. Had a similar situation like that in Chicago with a charter bus. the guy is a Muslim from Bangladesh. So what if he is??? These flunkies are told to write tickets, tickets, tickets, and not to worry whether they are legal or not. The City is willing to take the chance that the vehicle owner will appeal the ticket, or maybe he won’t. They have absolutely nothing to lose. The city takes the odds that the owner won’t appeal and just pay the fine.